More than 30% of hospitality professionals want access to data in order to support GEM, bringing a level of priority that suggests more operators are investing in something that they’ve long understood to be true - THE GUEST EXPERIENCE MATTERS. Resort and hotel operators have long understood the importance of meeting or exceeding guest expectations. As these expectations evolve over generations the industry continues to demonstrate its agility and its business acumen by proactively keeping up with, and in some cases anticipating, guest demand. Agilysys set out to learn precisely what is most important to these hospitality professionals and discovered some profound insights. 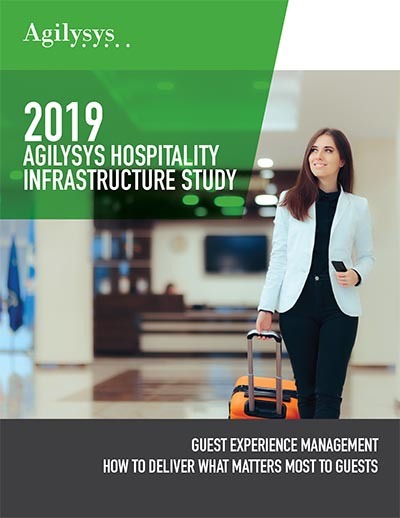 Download these insights and study results from the 2019 Guest Experience Management survey. © Copyright 2018 Agilysys, Inc.